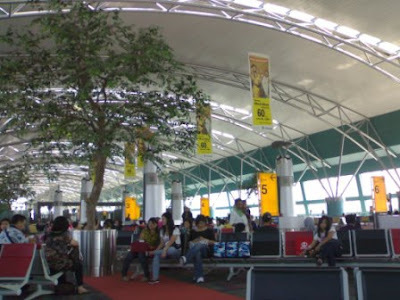 Despite valiant government's effort of finally developing Soekarno Hatta International Airport and built the new so-called green terminal, it lacks some of essential touches. The most noticeable failure in the new terminal is the echo from flight announcement. It was almost impossible to comprehend what was being said since the voice was bouncing all over the place. However, I had to give a light applause for the coffee vending machines, drinking water pumps, smoking room, etc. which was God's given miracle if you found yourself stranded there for six hours like I did. Design-wise, there was nothing you were not expected in any international airport. Still a long way to go to keep a tally with Changi, but well, it's a start. P.S: A big applause for Bakmi Gajah Mada. You just saved many starving travelers from cold tasteless soto ayam. Did Elvis Sing in the Shower?